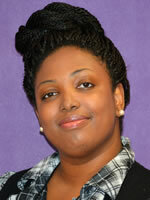 Monchielle Bolds is an Instructor at Louisiana State University Health Sciences Center School of Nursing. She received an Associate of Science in Nursing from Delgado Charity School of Nursing and a Bachelor of Science in Nursing and a Master of Science in Nursing Health Care Systems Management from Loyola University. Ms. Bolds is certified by the American Association of Critical Care Nurses. She is a member of Sigma Theta Tau’s International Honor Society for Nurses. She currently serves as a course faculty member in adult health for the undergraduate program at LSUHSC School of Nursing. Ms. Bolds has experience in medical and neurosurgical ICU and in ambulatory care.